Will you marry me? … Yes! What follows the coming together of perfect couples and the promise to maintain a lifelong friendship is no easy task. Choosing an unusual, romantic and exotic destination and witnessing the union of two souls, bonded by love is a big step. You cannot afford to compromise on the best. 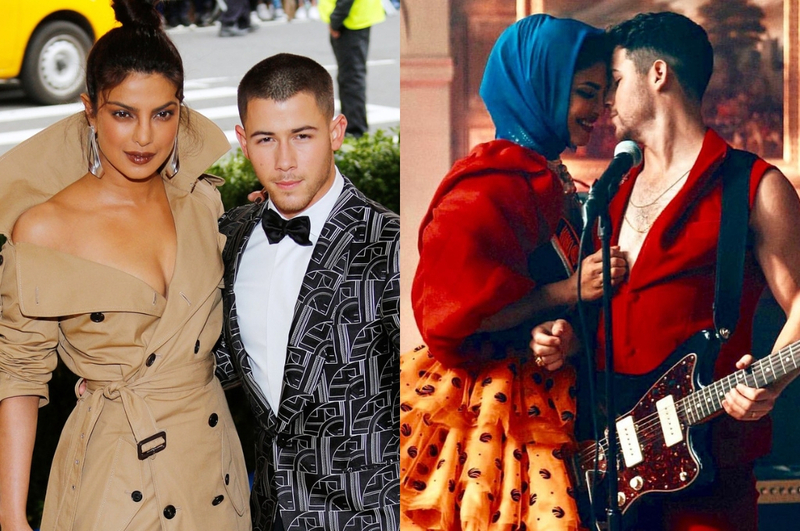 Let’s talk about India, which has a a ton of cool and life-changing wedding destinations for every kind of emotion and feeling. Whether you like natural richness, artistic wonders or timeless exotic charm, India has all of these for you to relish the most important moment of your life. Here, we present 6 ultra-romantic wedding destinations to definitely make your love stronger. 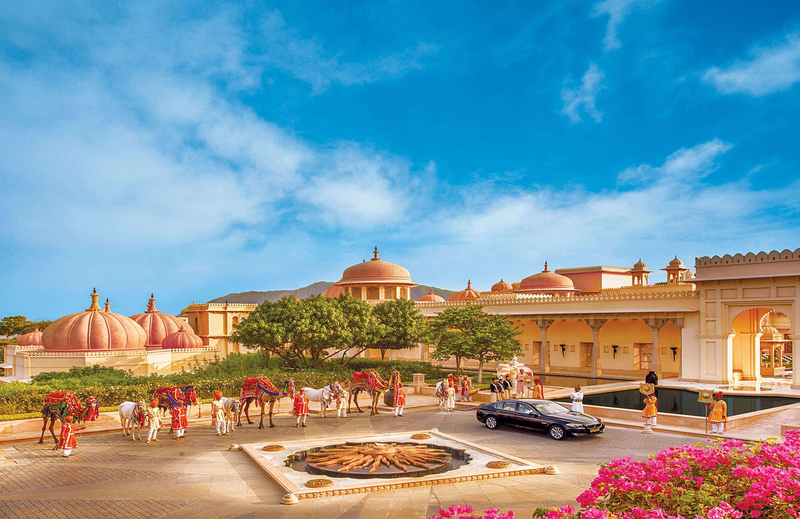 The City of Lakes, with its fairy tale palaces, offers you the uniqueness and royalty of celebrating your wedding in a conventional yet romantic atmosphere. Udaipur’s wedding points offer the best luxuries and create a spellbinding and exotic wedding environment. A lover’s paradise, Mussourie’s romantic air is bolstered by the surrounding serenity; the adjoining snow-capped Himalayan mountains and the lively local culture. The waterfalls, orchids and pine forests, sitting as a crown on top of Doon Valley are surrounded by beautiful resorts, which are ideal for tying the nuptial cord. 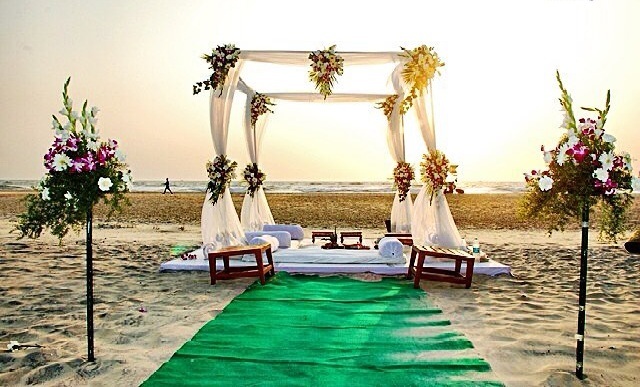 When love is deeper and wider than the ocean itself , taking vows against the backdrop of a stunning beach is something you will relish forever. Twinkling beaches, palm trees and the gentle waves of the Arabian Sea with fascinating Portuguese architecture in the backdrop make Goa an incredibly romantic destination. The informal beach cocktails and ceremonies are the cherries on the cake. 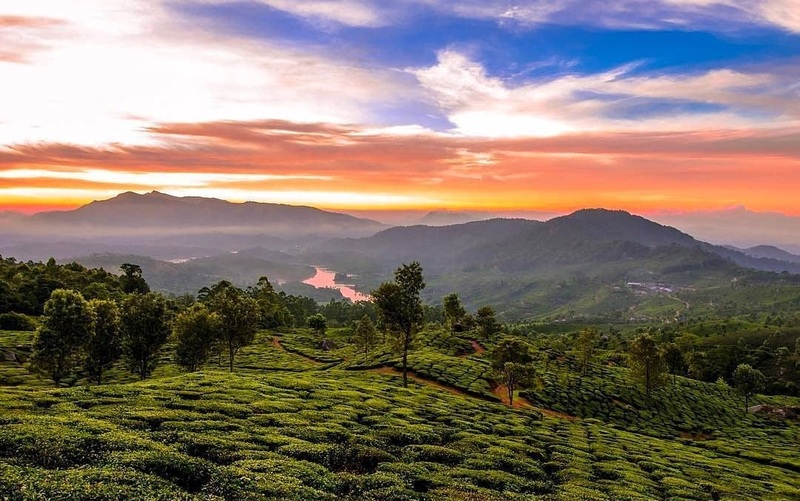 Shrouded in mist and fog throughout the year, Munnar’s romantic ambience and beautiful hills make it the most scenic wedding destination in God’s own country. A tea-growers paradise, surrounded by awesome valleys and lush green fields, it is perfect for country weddings and small intimate ceremonies. 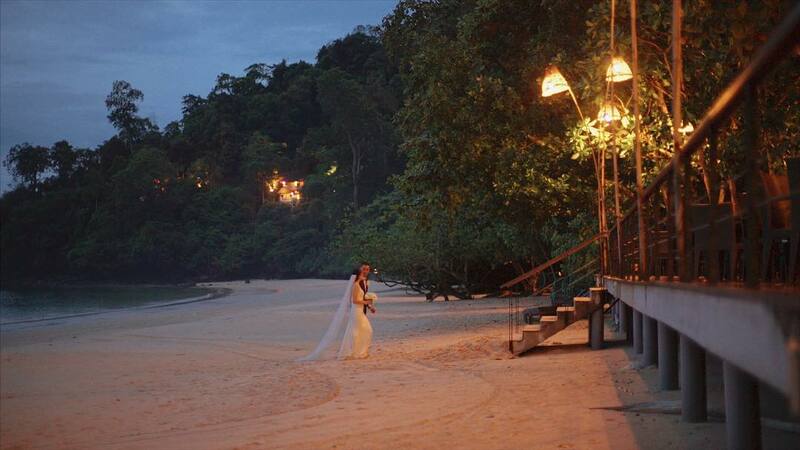 The picturesque Andaman and Nicobar Islands provide the most romantic and gratifying beginning to your wedding voyage. The pleasing climate, with sparkling white sand and transparent blue waters is the perfect destination to tie the knot. 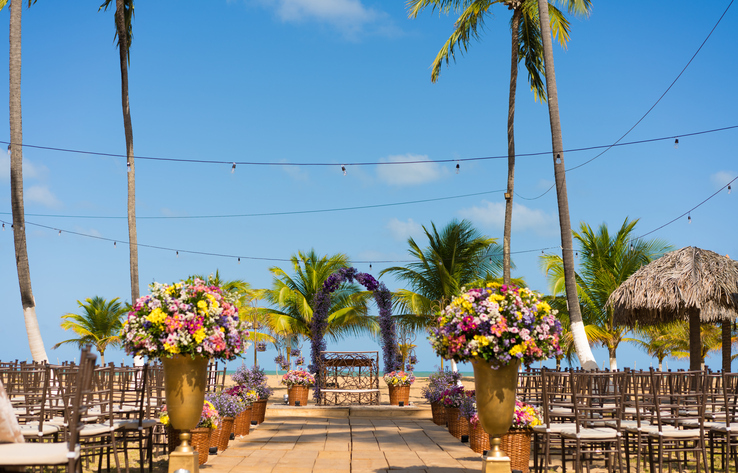 The coconut palms along the seashore will add a picturesque element to your celebrations. 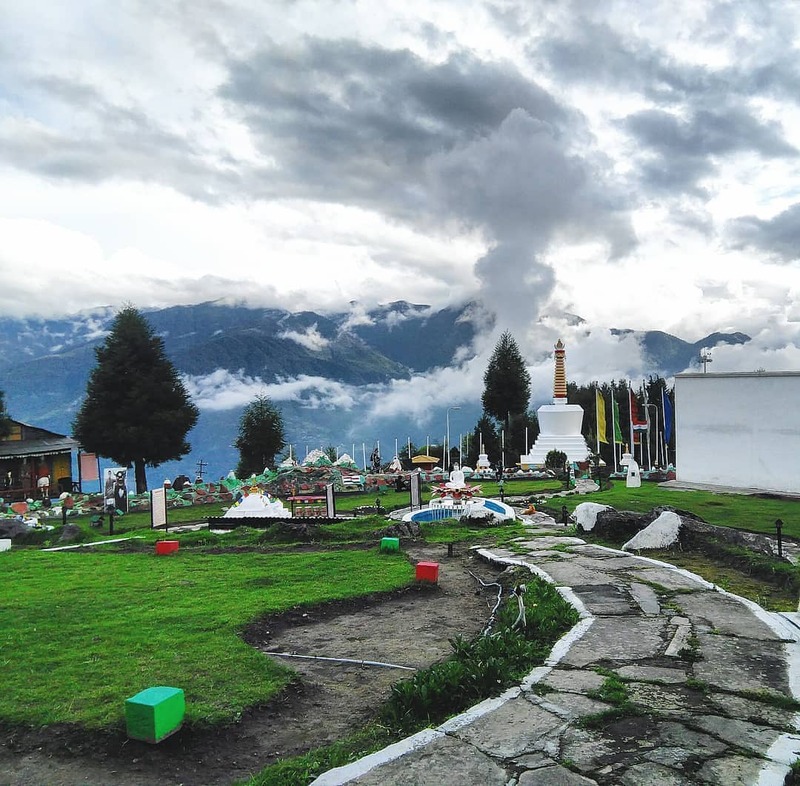 Tawang, overlooking the snow clad Himalayan Mountains and historic monasteries, oozes romance and freshness for lovers. The colours of Tibetan culture in the midst of chilly locales make it the perfect destination for couples to exchange vows.